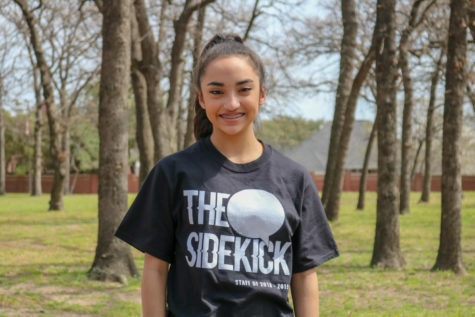 Coppell High School sophomore Sydney Williams recently became an aunt when her older sister, Aubrey Garcia, gave birth to her first daughter, Mila Garcia. Williams’ niece was born on Valentine’s day and will be two months old this Sunday. 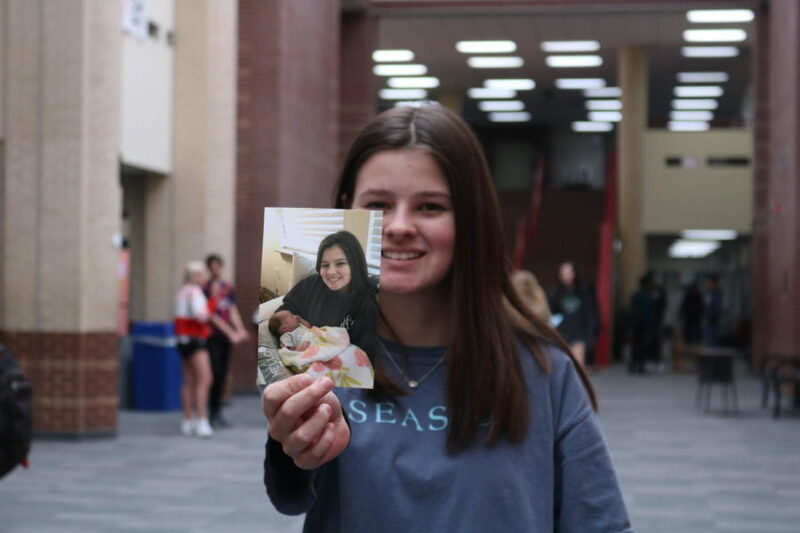 Coppell High School sophomore Sydney Williams became an aunt after her older sister, CHS 2004 graduate Aubrey Garcia, gave birth to a girl named Mila Garcia on Feb. 14. 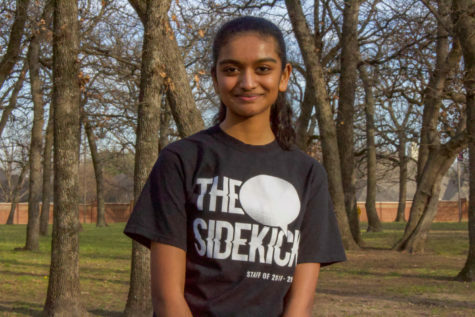 Williams was selected as The Sidekick’s Student of the Week, and she reflects on the experience of becoming and being an aunt to the now 2-month-old baby. How did you learn you would be an aunt? [It was] July of 2018. My mom, my dad and I were in London. We came back, and my sister left us a note saying “Sorry I ate all of your food” and left a photo of the ultrasound on the note. How did you feel about the news? I was happy. I kind of felt like I knew it was happening. I had a thought about it when we were in London, like, I was thinking about if she was having a baby or not. How did you prepare for becoming an aunt? I thought not about when she’s a baby, but more when she will be a toddler, and the games we could play, and how I could be that fun, cool aunt. What do you plan on doing together when she gets a bit older? I want to teach her hopscotch, because that was my favorite thing to do. And also Duck Duck Goose, because everyone loves Duck Duck Goose. And [Ring Around the Rosie]. This isn’t really a game, but also playing with bubbles. I want to be really outdoorsy with her, spend more time outside instead of watching TV or playing games on a phone or whatever. I want to be outside and actually live. Were you there when the baby was born? Yes, she was born on Valentine’s Day at UT Southwestern [in Dallas]. What were your emotions that day? I was really happy, but I was really nervous. I just wanted everything to go smoothly when she was in labor. Once [the baby] was here, I was just really happy. How have things changed now that there is a new member of the family? My sister used to just be able to come over whenever I asked her to, or I would be able to hop in the car and go over there. Now, it’s like our schedules revolve around when the baby is happy or hungry or tired. How do you think the age difference will impact your relationship? There are 16 years between us. My sister and I are actually 16 years apart [too], and we have a really good relationship, just because we aren’t super close in age but we aren’t super far apart. We still relate to things, but it’s not like we’re fighting over things. How was the baby shower? It was really good, it was really fun. The theme was “Baby It’s Cold Outside” because we had it at the very beginning of January. I told her for her next baby, she has to have [the baby shower] in the summer so the theme can be “Mamma Mia!”. How far away do your sister and niece live from you? About 10 minutes. We really don’t go a week without seeing each other.